ESCO Industries continues our commitment to providing pre-eminent hospital developments with our custom-designed Medical Services Panels. 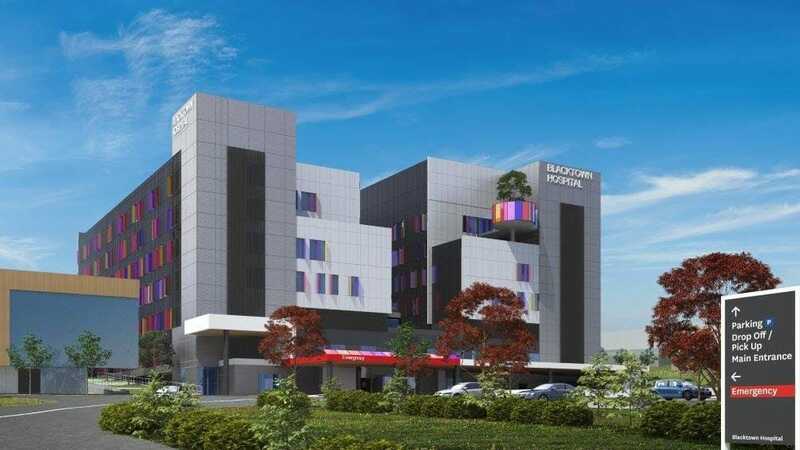 The $700 million Blacktown and Mount Druitt Hospitals Redevelopment has now entered its second stage, with the commencement of the construction of the new Blacktown Acute Services Building. The MSPs design process began in May of 2017 when ESCO were first engaged by electrical contractor Stowe Australia to supply MSPs for a prototype room. Stowe proceeded to award ESCO the contract for the supply of MSPs in November, and the approval process for 675 units began. Gas contractor Hoslab joined Stowe in enlisting the ESCO product range. The new site will feature both Medical Gas Terminal Outlets and Medical Gas Isolation Valveboxes. The new addition to the Blacktown Road precinct will offer refurbished endoscopy, gastroenterology, and outpatient services as well as a host of new patient services. The hospital’s emergency facilities will be upgraded with the addition of a brand-new emergency department with more emergency and short stay beds, an ambulance bay, and importantly a dedicated unit in the department for psychiatric emergency care services. Maternity services will receive a boost, with an expanded birthing unit, newborn care and women’s health areas planned. Finally, a new Intensive Care Unit along with eight operating theatres will contribute to the increased capacity and maintain the possibility for future expansion. Now only a year away from completion, the Blacktown Acute Services Building will be a nine-storey facility by the time of its opening.